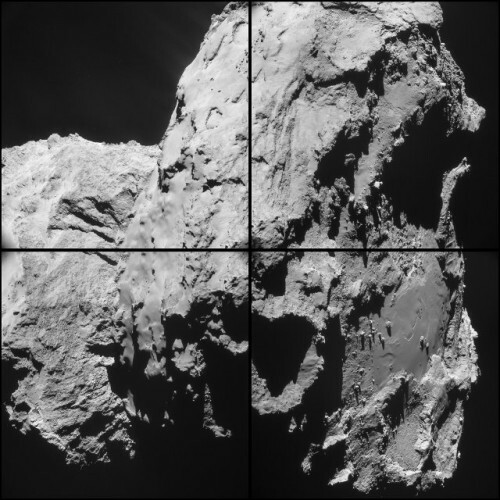 During the past weekend, ESA’s space probe Rosetta has taken a new flyby about 14 kilometers (about 8.6 miles) away from the comet 67P/Churyumov-Gerasimenko. This means that it hasnt come as close as in February, however, the comet’s increasing activity caused some problems in Rosetta. 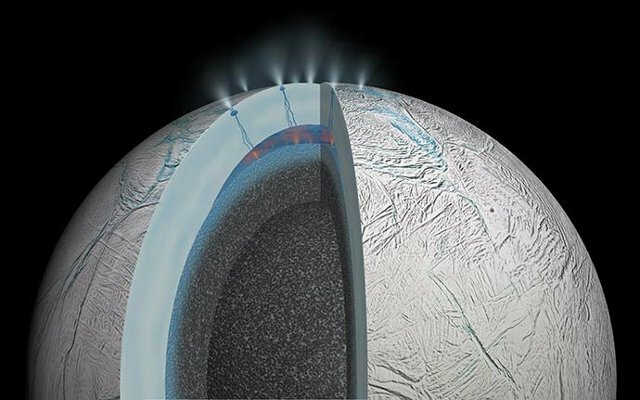 Among the consequences, it had serious difficulties in communicating with ESA’s mission control. An article published in the journal “Astronomy & Astrophysics” describes the results of a research carried out by combining the observations made with ESA’s Herschel and Planck space telescopes. 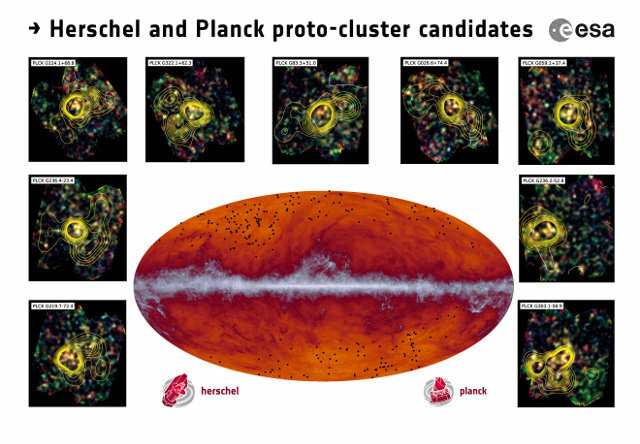 The purpose was to find protoclusters, the precursors of today’s galaxy clusters seen in the distant past when the universe was only three billion years. This will help to understand how these huge groups of tens, hundreds and even thousands of galaxies formed and evolved. At the 46th Lunar and Planetary Science Conference being held in The Woodlands, Texas, some surprising discoveries made on Mars thanks to NASA’s space probe MAVEN (Mars Atmosphere and Volatile Evolution) were presented. 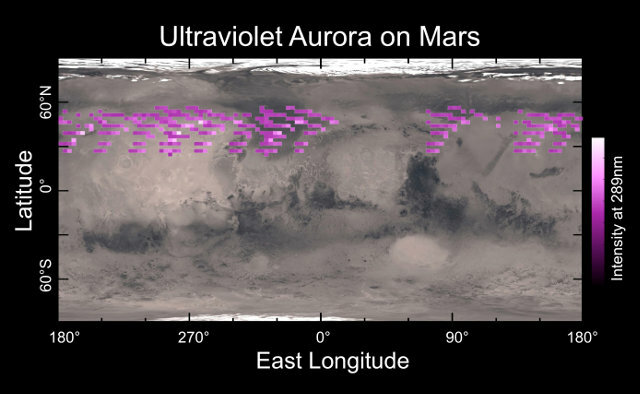 They’re a cloud of dust at high altitudes and an aurora that goes deep into the Martian atmosphere. 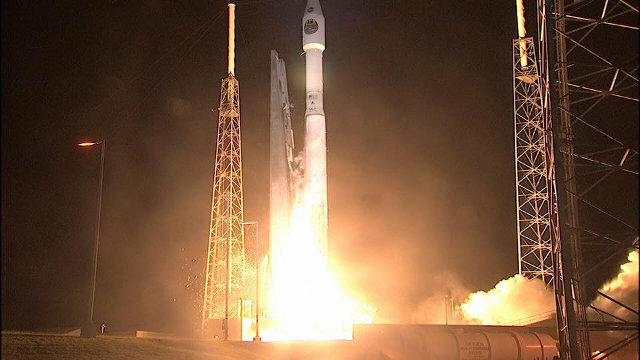 A few hors ago the four MMS (Magnetospheric Multiscale Mission) spacecraft were launched atop an Atlas V 421 rocket from Cape Canaveral. After nearly two hours the spacecraft started separating from the rocket’s last stage, one at a time at intervals of about five minutes. It’s only the beginning of a complex phase of tests, deployment of their booms with the sensors and positioning of the probes in a tetrahedron configuration which will last more than five months. The MMS mission is really ambitious because it’s based on the work of a constellation of four identical spacecraft that will operate together in a tetrahedral formation in order to make three-dimensional measurements. The purpose is to study the magnetosphere in a way more sophisticated than those previously attempted. In particular, the space probes will study the phenomenon of the magnetic reconnection. It’s a process in highly conductive plasma in which the magnetic topology is rearranged and the magnetic energy is converted into kinetic and thermal energy and into particle acceleration.